In the first part of the Trustpilot series, we shared how personalizing your content and collecting consumer insights increases conversions during the holiday season. 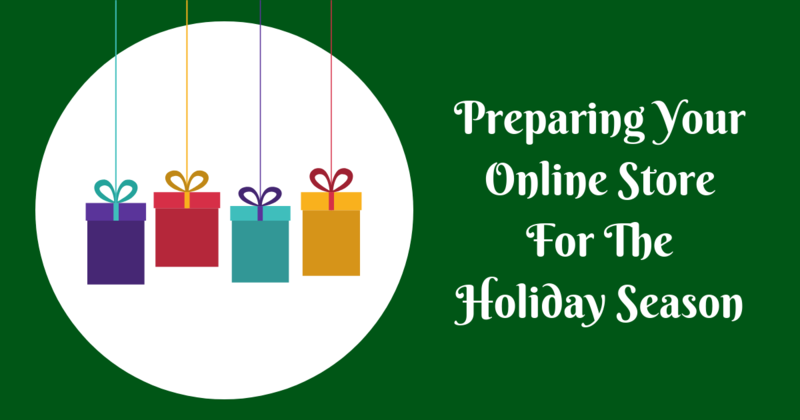 In part two, we’re back with three more strategies your online store can use for success this holiday season. The SEO world is changing so fast that it has become almost unrecognizable. Some might tell you SEO is dying, but in truth it’s just shifting. The advent of voice assistants like Siri, Google Home, and Alexa are changing the way consumers search and find results on search engines. Why? Well, speaking is both quicker and simpler. It’s a more natural, yet explicit way to search, because consumers use long-tail queries which have lower search volume but convert significantly better, and are more profitable. 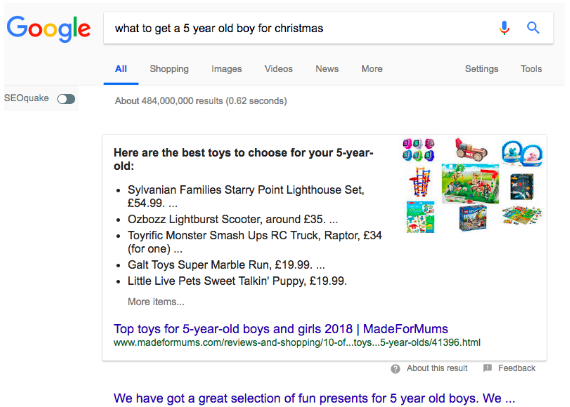 Many big brands do not give these longer search queries the necessary attention compared to one and two-word search queries, which result in great opportunities for smaller businesses. So how does voice search work exactly? Well, rather than providing different search results and letting the user a choice, answer engines provide the user with one answer only. This makes finding facts much easier for the user, but makes it harder for companies to stand out and feature a definite answer. However, small companies have an advantage - by testing and identifying profitable queries, they can focus on getting ahead of larger businesses. That’s why it’s important to focus on smaller benefit-oriented searches by rethinking the website interface and optimizing them with long-tail keywords like “best coffee mugs for work”. Long-tail keywords make it more likely for smaller companies to reach and maintain position 0. Position 0 is the first result, often displayed in the answer box above the other organic results. Although Google is still experimenting with position 0 results - whether they’re answer boxes, knowledge graphs or Voice Assistant results - search engines’ recent investments in voice search suggests this shift is here to stay. The holiday season brings about a huge surge in traffic, research, and sales. If your website isn’t ready to handle this volume, you might end up with a slower site, or worse, an overloaded site that crashes. That’s why we recommend you implement additional improvements to your website to create a seamless customer experience for everyone, speed up the customer journey, and increase your conversions. As of 2016, mobile research actually surpassed desktop research, meaning consumers are now checking their phones before making a purchase2. If your site isn’t up to snuff, you’ll get passed over. Google’s mobile first index has officially started affecting Google rankings. So if you’ve optimized your site for mobile devices, Google is likely to reward you on search. Did you know that having to create a new user account is the second biggest reason for cart abandonment3? Guest checkout can help keep all bottom of funnel visitors engaged with your brand, whether they’re repeat or first-time buyers. Shipping costs also play an important part in the checkout process too. It is in fact the number one reason for cart abandonment4. With 9 out of 10 consumers saying free shipping is their biggest incentive to continue shopping online5, charging for shipping could mean you’re losing some of your sales. As a solution, you could offer free shipping on all orders, have a minimum spend requirement, or simply give free shipping to shoppers for a limited period of time during the holiday season. A study by Akamai6 found that 47% of people expect a web page to load in 2 seconds or less, and 40% say they will abandon a page if it takes more than 3 seconds to load. It’s easy to see how loading speed can impact conversion rates. Simply making your website faster will drastically improve your user experience, and therefore help you convert more visitors into customers. If too slow, your visitors are likely to leave and look for a faster site. 1. Use tools like Pingdom and GTmetrix to get your score and find out what could be improved. 2. Reduce redirects and plugins. 4. Be aware of your image sizes and optimize them for the web. Large image files could slow load speeds, especially on mobile devices. 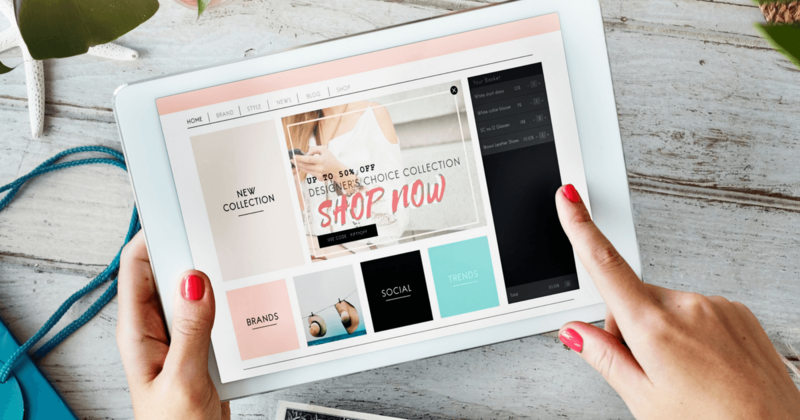 Before making a purchase, shoppers can make up to 9.5 visits on a retailers site7, and 88% of consumer pre-research their buys online before making a purchase decision8. This is especially true when it comes to the holiday season. Trustpilot’s 2017 holiday report found that consumers searched for reviews most in November and December, with over 480,000 review searches per month. It’s time retailers start helping consumers do their research. Identify highly visited sites and channels where customers are most likely to conduct their research. These could include Twitter, Instagram, Facebook, Trustpilot, TripAdvisor, Yelp, Quora, etc. Once you’ve identified the right channels, you can start working on your reputation management strategy by encouraging customers to leave reviews and feedback on these channels. Remember, customers with bad experiences are the ones most likely to share their stories. No company is perfect and mistakes happen, but customers pay attention to the way businesses handle reviews, good or bad. That’s why we recommend you proactively collect and manage customer feedback. Being in charge of your reputation gives you a chance to understand what can be improved and engage with your customers. 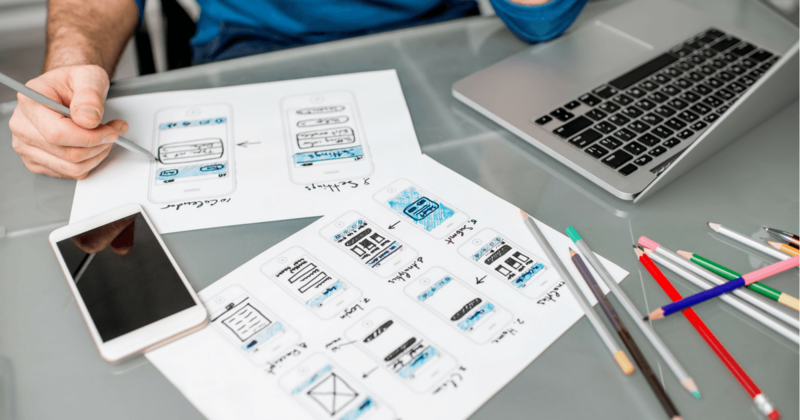 Show off the reviews and user-generated content you collect on your homepage, your product pages, and even on your most-trafficked organic pages. This will significantly improve user experience and increase your conversion rates. Visitors trust third-party validation more than anything else. 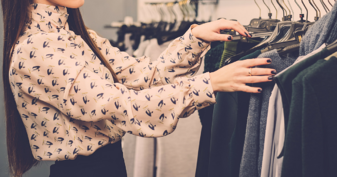 Despite the holiday season’s reputation, only 40% of retailers experienced above average revenue growth on Black Friday and Cyber Monday in 2017. The rest actually experienced a decline in revenue growth. Retailers can’t expect to just sit back and let the customers and revenue come in. That’s why we strongly encourage you to start your planning as soon as possible. In our last two blog posts, we’ve given you five new strategies that will help you retain the extra traffic you get during the holiday season, improve your customers’ shopping experience, and increase your conversion rate. We hope this helps you make this holiday season your most successful one so far! 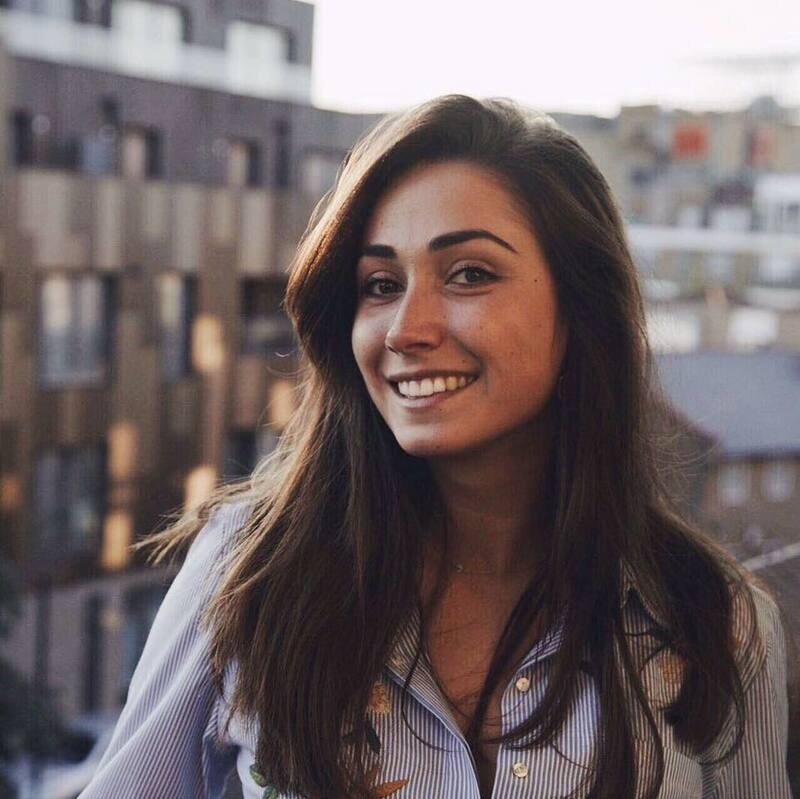 Flora is the lead content strategist at Trustpilot - the most powerful online review platform, helping businesses collect customer reviews to increase their traffic, sales, and revenue. Read more from Flora on the Trustpilot blog!